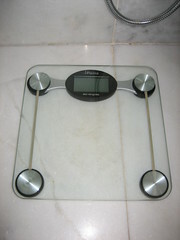 I went and bought a scale So that I can keep track of my Shangri-La Diet (SLD). 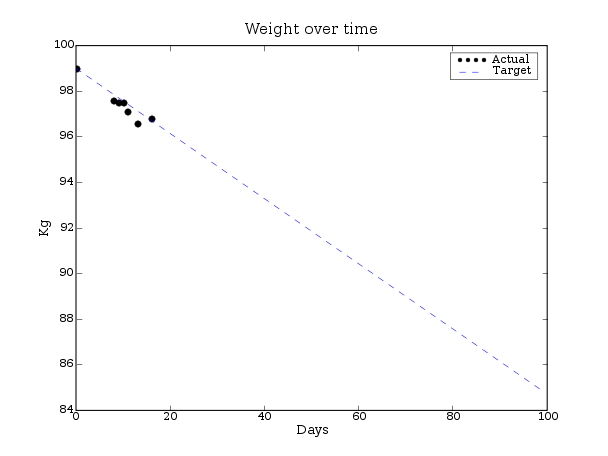 I also wrote a little python program, using Matplotlib to draw a chart showing my progress as well. I don't know what my real starting weight was, since I bought the scale a week later. I thought it might be 100kg but 99kg produced a nicer graph. My target is about a kilo a week (2 pounds). I'll post new graphs every few weeks.